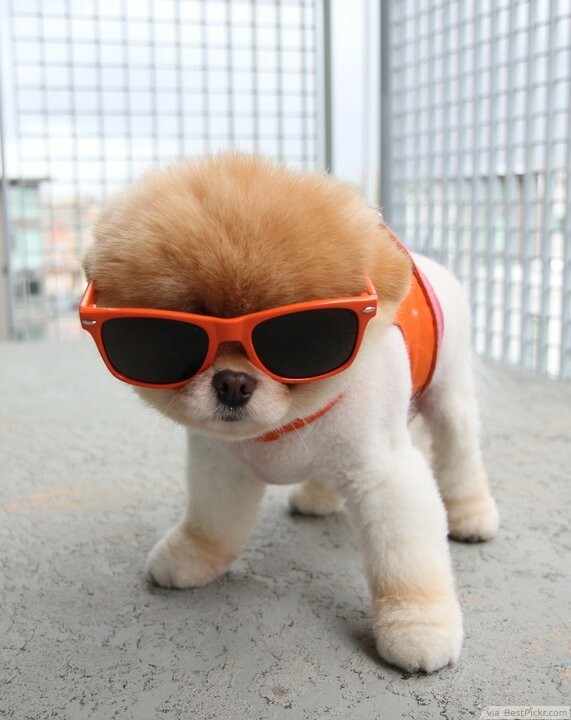 Cool Small Dog in Shades with Style Heading for The Beach! sportin' my new shades from lucy. human looked ridonculous in them, but i think orange is my color.